Personal life | A wifey, a mother, an engineer & an entrepreneur! 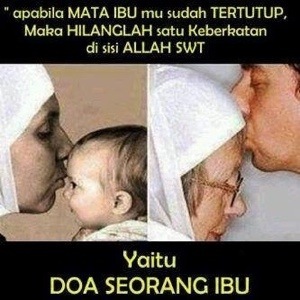 Happy Mother’s Day for All Mommies in Indonesia! Waaaa I learnt something today when i just arrived in this hotel. 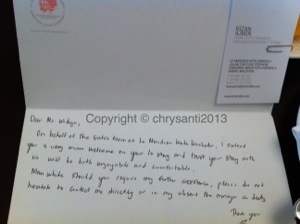 I received an appreciation letter on the dining table from the manager together with fruit basket & a box of chocolate. 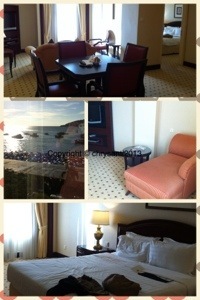 And they also upgrade my room to suite room with sea view.. Oh yes, with 5 bottles of mineral water too! I really love to stay in this hotel! Everytime i go to kota kinabalu, i always stay at Le Meridien Hotel Kota Kinabalu… This was also the place where Ryanti learnt how to walk in the hotel’s crib, how Ryanti crawled from the full carpet floor to the sofa, and swimming in the pool.. This hotel is very accesible to filipino market, fish market (wet market), suria sabah mall, city point mall, etc.. Near the hotel there’s spa salon where i had a massage too! Now i am at Kuala Lumpur International Airport waiting for my flight to Kota kinabalu.. yow, i arrived 4hours early! -__-“. I will have meeting at KK tomorrow.. 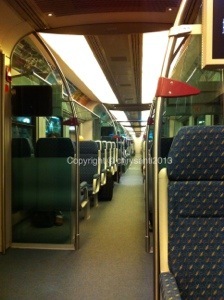 This morning my husband took me to KL sentral to check in & drop baggage at Malaysia Airlines counter. 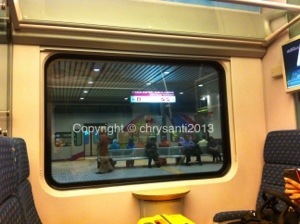 Then i ride KLIA express to KLIA. Thanks honeykoh! Mebbe it’s because this week is a long holiday, so the flight is so full and the train as well! Huhu Good thing i didnt bring my daughter to go with me.. 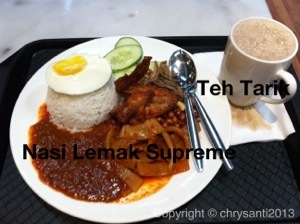 If you visit Malaysia, dont forget to try their Nasi Lemak & Teh Tarik. This is what i have for brekkie this morning at KLIA! 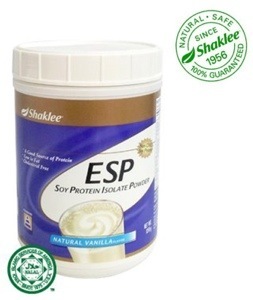 It’s so tasty..
Okai, enough for the calories intake.. Now it’s the time to drink ESP (energized soy protein) from Shaklee! – Replete with all essential amino acids. When i was breastfeeding my daughter, i took 2 glasses of ESP mixed with fresh juice every day. 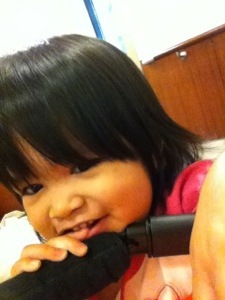 The result was breastmilk production increased and i lost weight! ESP is also good for diabetic! And the super goodnews is ESP already available in indonesia! Yay! Please send email to cs@shantyshaklee.com for enqueries & place order. Delivery throughout indonesia is available. Ok, time to window shopping at KLIA! Finally i am back to blogging world again after more than 3 years! First, finally i am married with my ex-long distance relationship boyfriend namely Mas Ganteng (Gyahahaha).. We’ve been married since April 2011, just right after 1 year i work in Malaysia.. Hihihi.. Now we live happily in Kuala Lumpur with 20months old daughter & currently we are expecting the second daughter insya Allah! 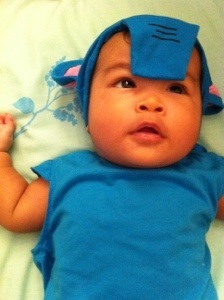 Please introduce our beautiful daughter, Siti Sophia Ryanti Ganado! There are some updates to come including my new online business! 3. Office’s Laptop: Making money for PETRONAS.. yay! 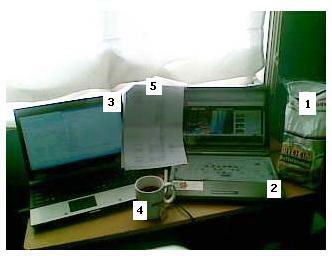 Still survive how to manage my time wisely, and optimize my day every single day. Heuheuheu.. Some years ago : Good Bye. Broken heart. Cried. No more love. No more. No more. No more!! !